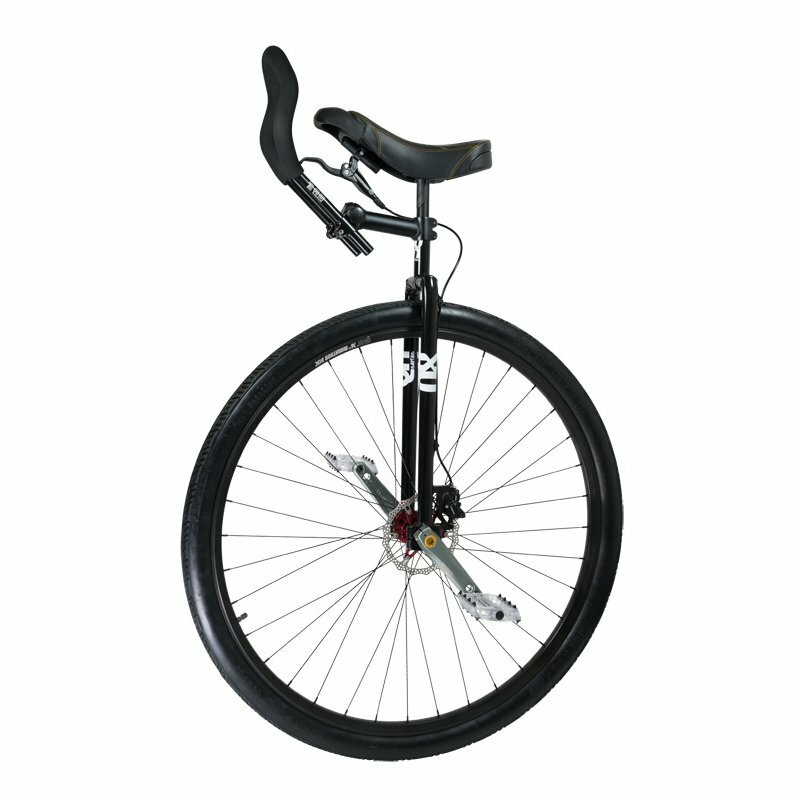 The very versatile QU-AX Q-handle is a handle for long-distance-riding. 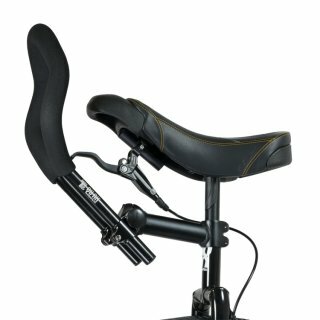 On the one hand, it is very versatile in being adaptable to most kind of stem or forkmounts, on the other hand, it is very adjustable for the positioning you need: height, length and angle. 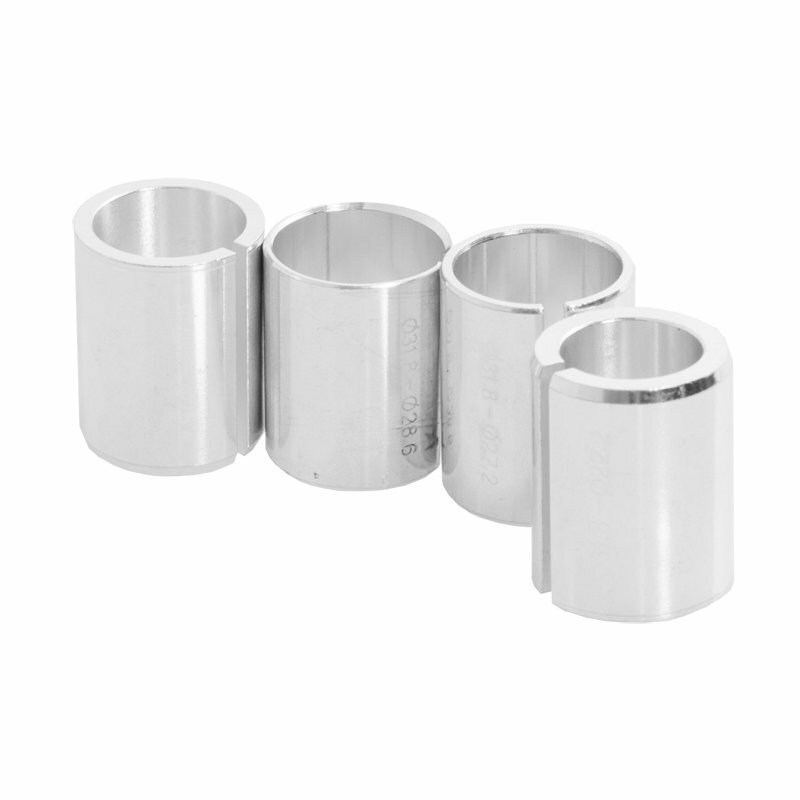 With the 4 included shims, it can be mounted on 22,2 mm seatposts (like Miyata seatposts), 25,4 mm seatposts (QU-AX and Nimbus e.g. ), 27,2 mm seatposts (Kris Holm e.g. ), on 28,6 mm frames (QU-AX steel frames e.g.) 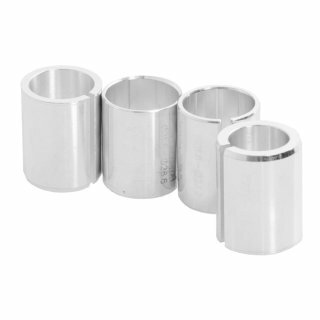 or even directly, without shims to a 31,8 mm Kris Holm or QX-series frame. It can be mounted below the seatclamp, as a seatclamp or on the seatpost. The "H-bar" allows you to adjust reach of the handles front- and backwards without having to cut the tubes. On the top-stem-clamp, you can freely adjust the angle. Made of lightweight alloy, the handle (w/o shims and foam) weights under 590g. 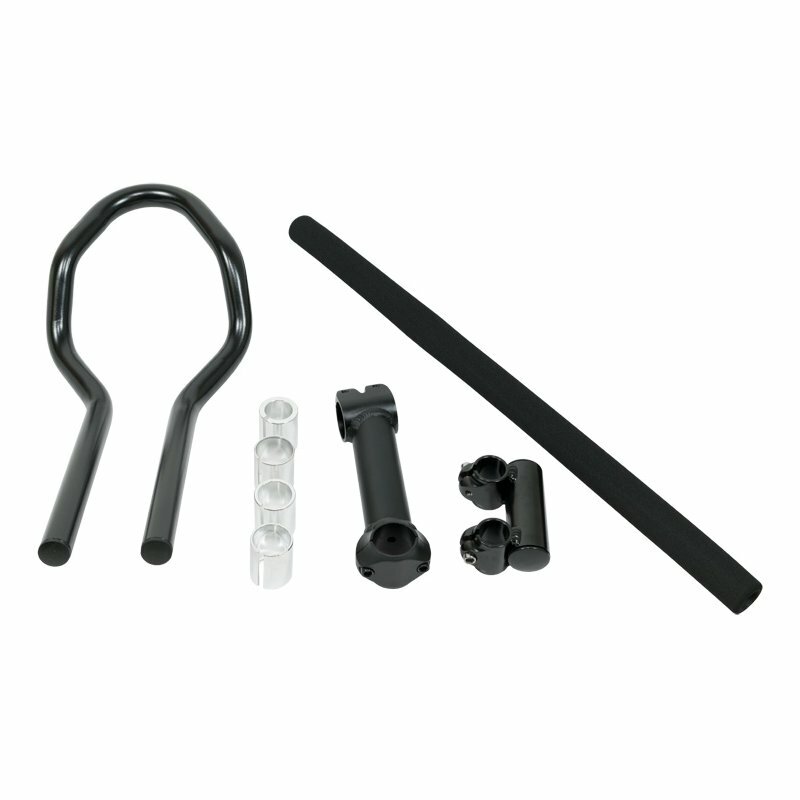 Shims and foam are included with the handlebar! 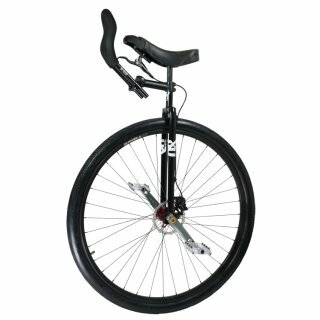 The bow has a diameter of 22,2 mm - which fits for brake-levers, handles, bells, gps-mounts or bike-computers. 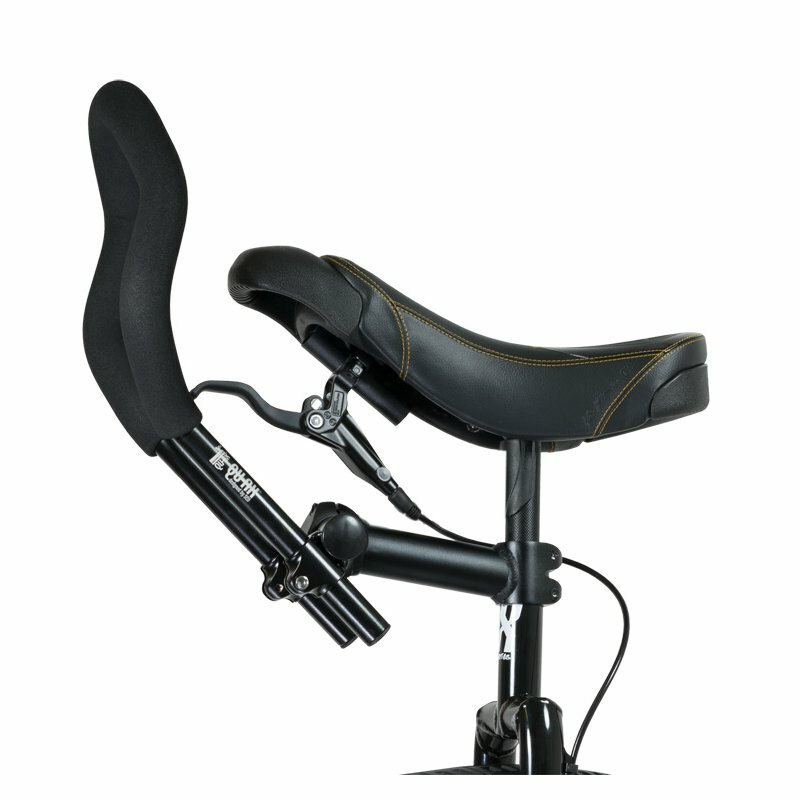 This system is indepent from the saddle you use - and very rigid! Comes without unicycle on the photo!